Authentic traditional Cuban food served in a rustic country setting. Delicious grilled food with its characteristic aroma and seasoned with exotic spices, this restaurant is a favorite among guests. 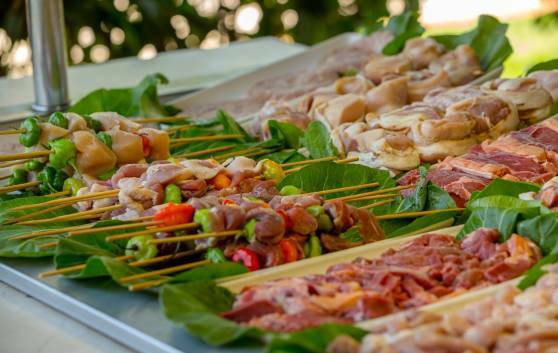 Next to the amazing beach of the Tryp Cayo Coco Hotel, our beach grill invites you to enjoy your leisure time with the most delicious snacks. A wide selection of fruit, liqueurs, juices, rums and beer will help you experience the intensity of the Caribbean sun to the full. The most international restaurant in the hotel. 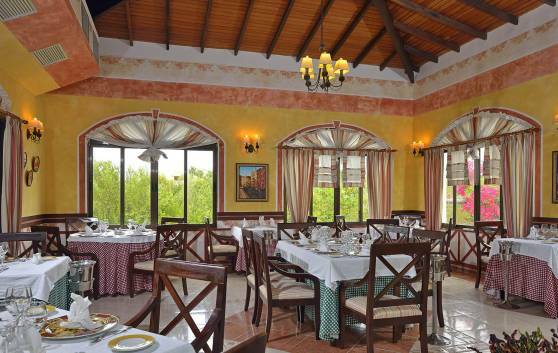 Guests will be pleasantly surprised by the exiting combinations of flavors prepared by seasoned chefs at La Loma Azul restaurant. The excellent and refined ambience of this facility, famous for its Italian cuisine, turns every evening into a virtual Gala dinner. An infinite combination of flavors from the best of international cuisine and spectacular show cooking prepared especially for you by the chef of the house! 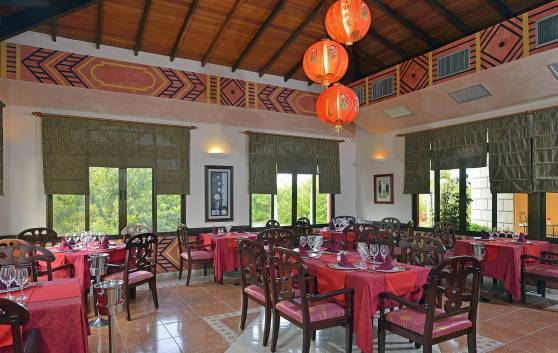 Its exquisite selection of oriental dishes and excellent service will transform your evening into a special event. 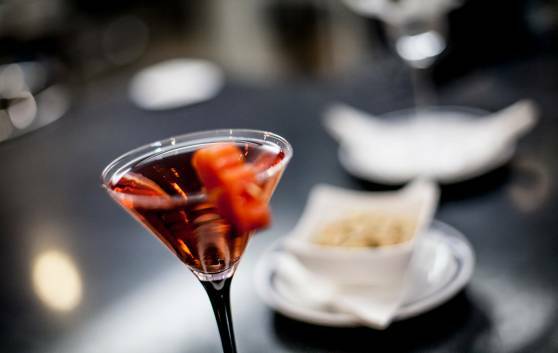 In a quiet, peaceful setting, our Aqua Bar offers you an exclusive daytime service, with delicious cocktails made with fresh fruit and herbs, accompanied by a selection of drinks and spirits. 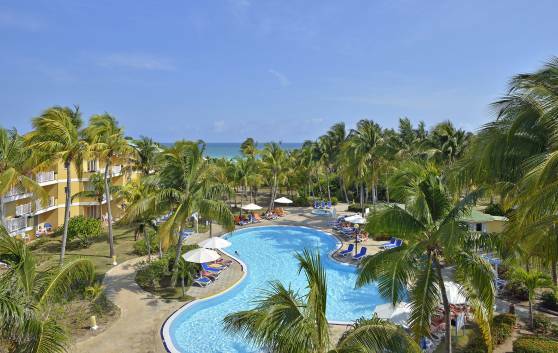 The swimming pool area is the epitome of a life of style, surrounded by lush tropical gardens especially designed to ensure the relaxation and privacy of guests. 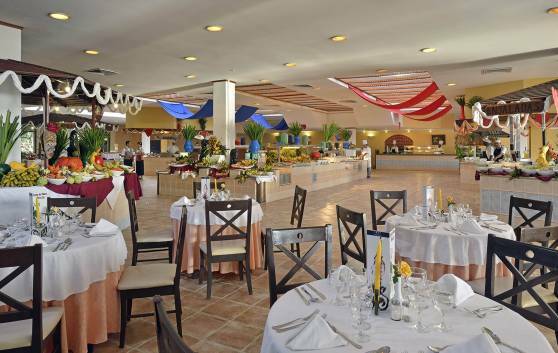 Set in this exotic environment, the El Delfin restaurant invites guests to enjoy its fast food and delicious Caribbean cocktails as they lounge around the largest swimming pool of the hotel. Located in the lobby, El Manglar bar invites guests to chose from its long list of refreshing national and international cocktails as they enjoy the beautiful view posed by the lush tropical gardens, swimming pool and turquoise sea in a marvelously cool ambience. 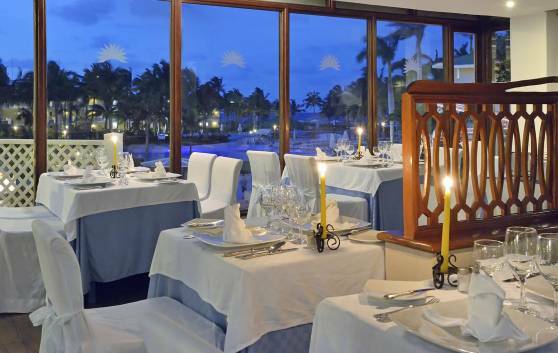 In the hotel's restaurant area, our Martini Bar is the perfect place for an aperitif before dinner or for chatting as night falls over the idyllic spot that is Jardines del Rey. Its wide variety of liqueurs and coffees is ideal for relaxing. Relax after a day full of activities and physical exercise and listen to the sound of live music as you treat yourself to a delicious snack. The Placita bar is ideal for friends who will surely have a lot to say about their experiences at Cayo Coco.